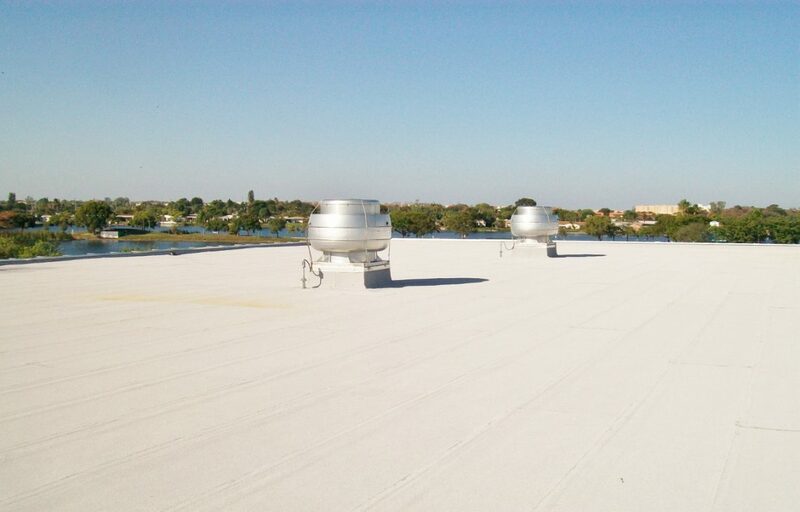 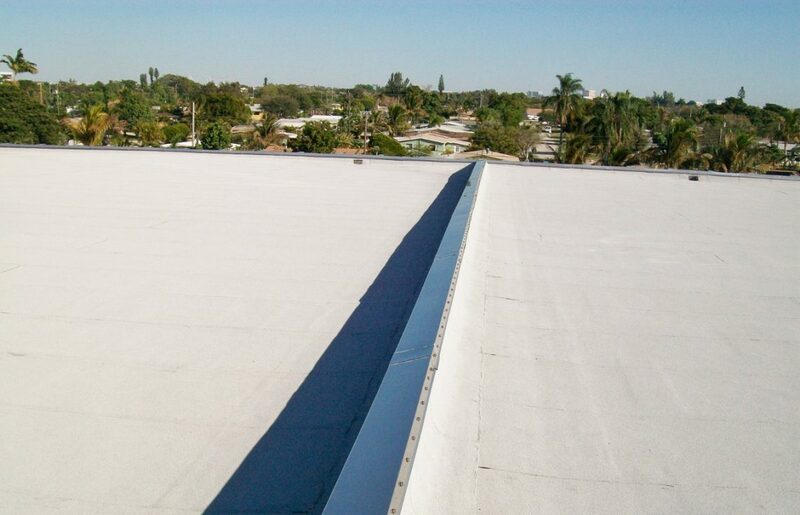 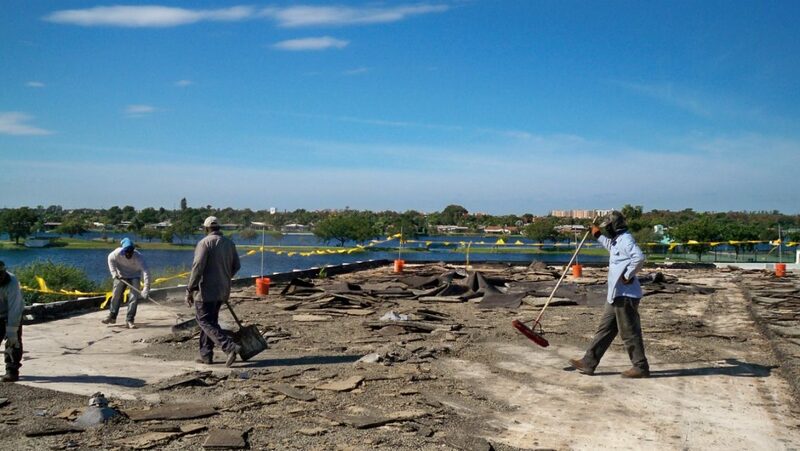 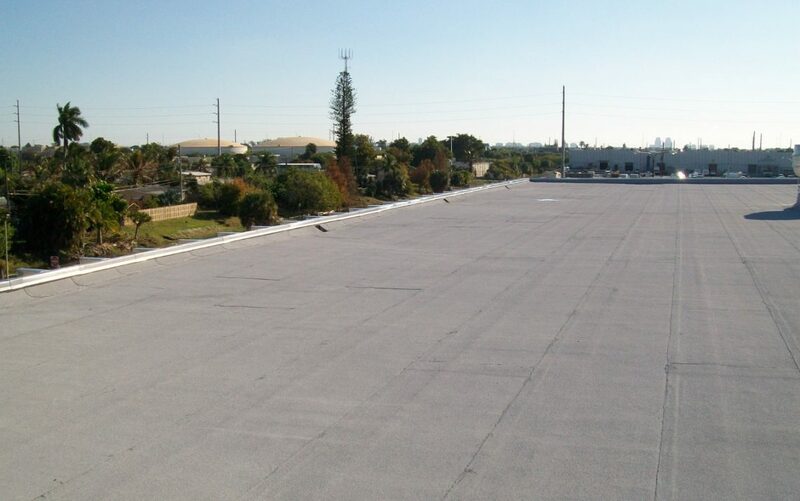 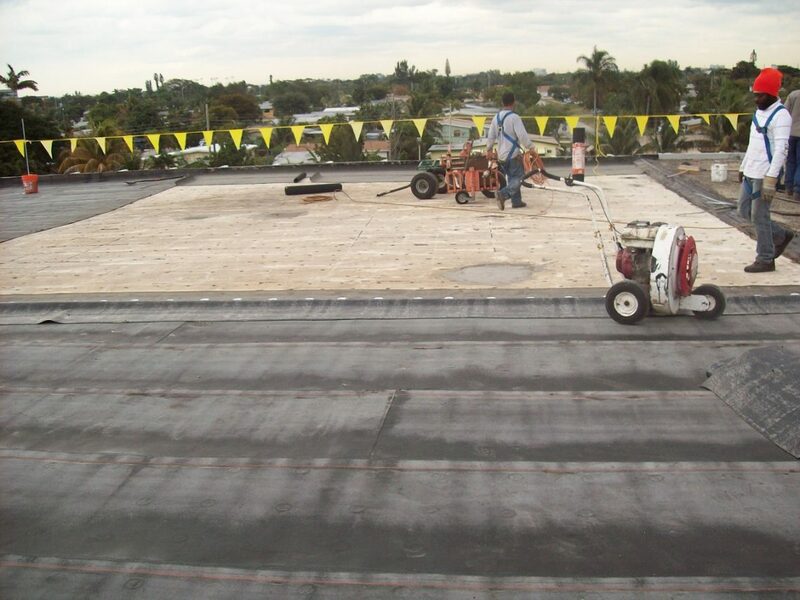 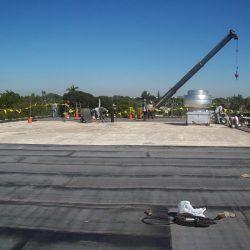 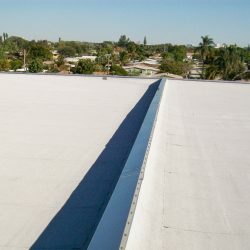 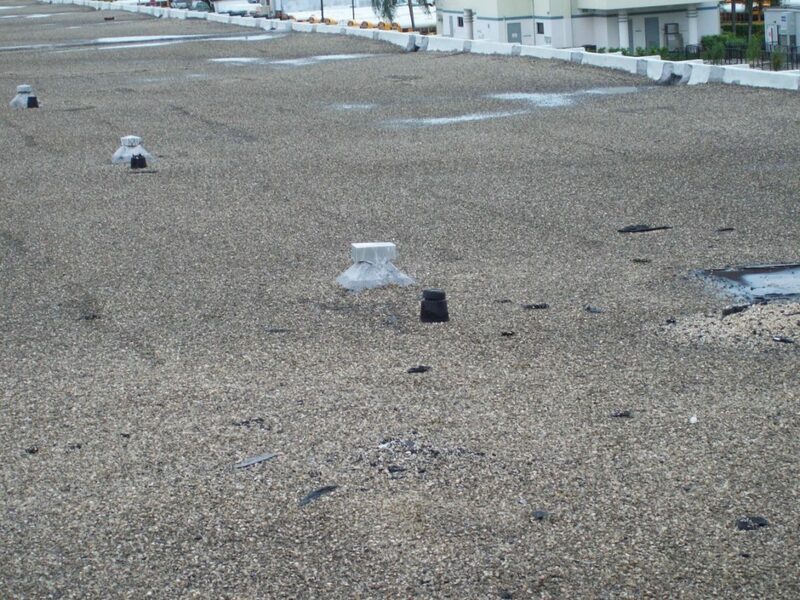 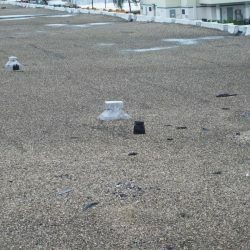 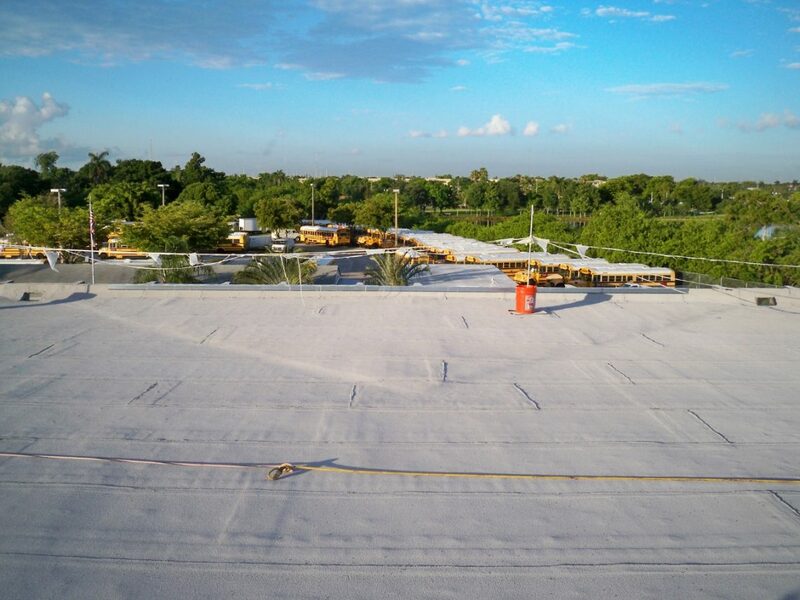 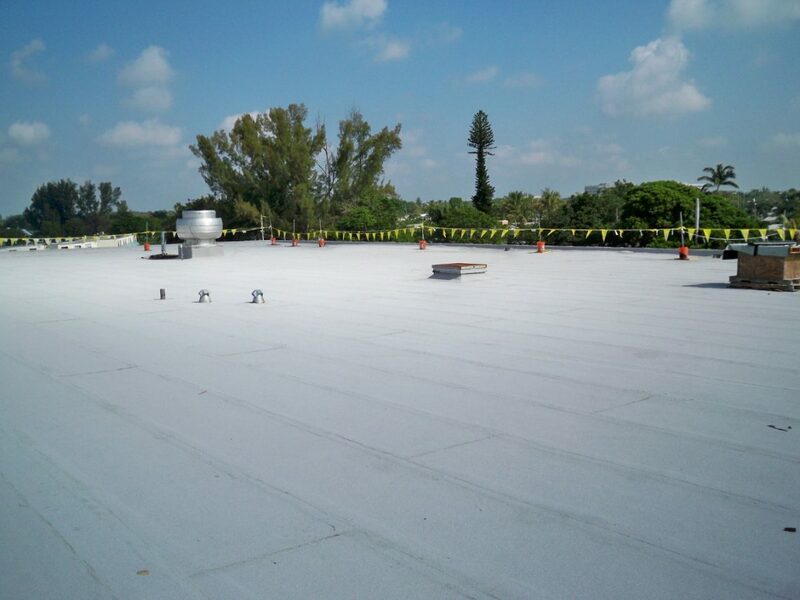 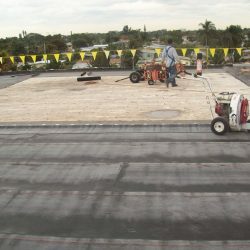 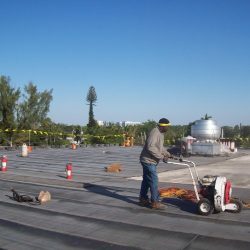 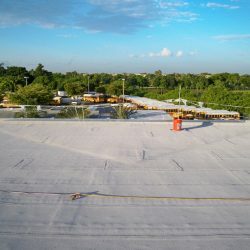 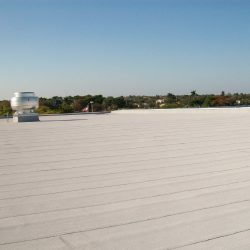 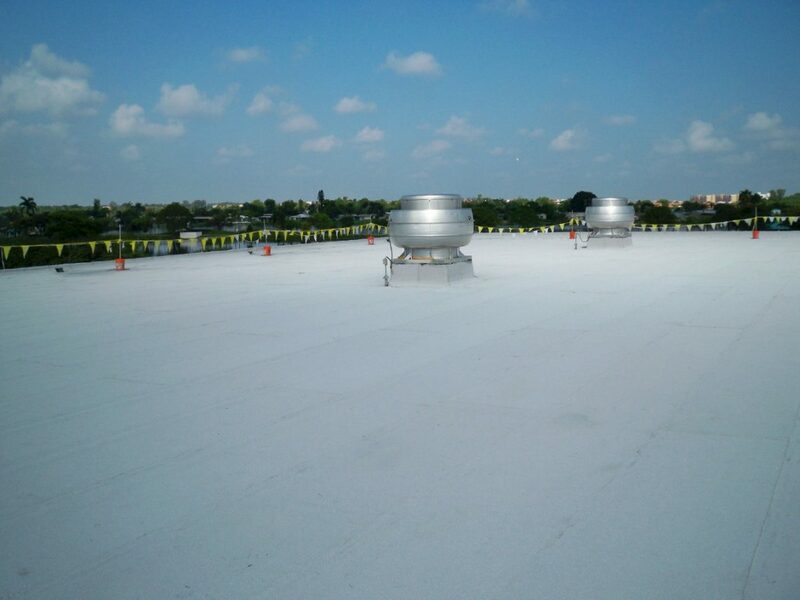 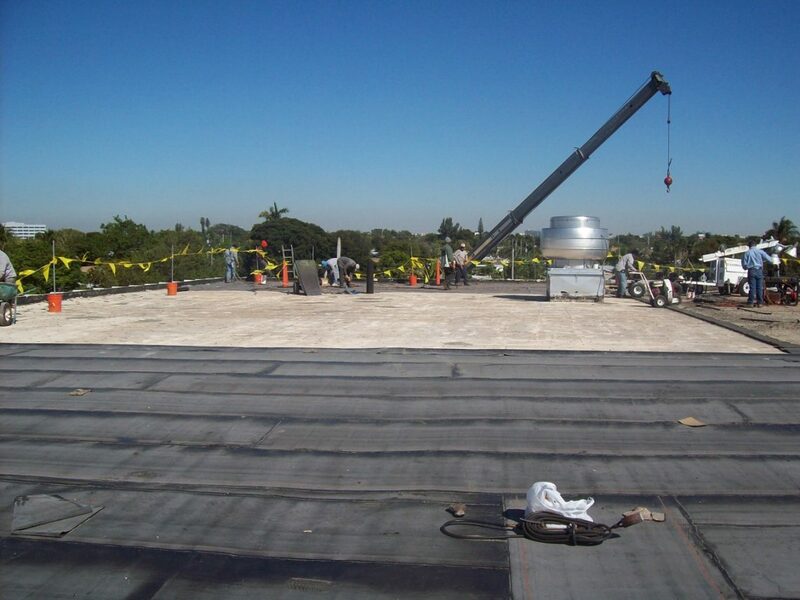 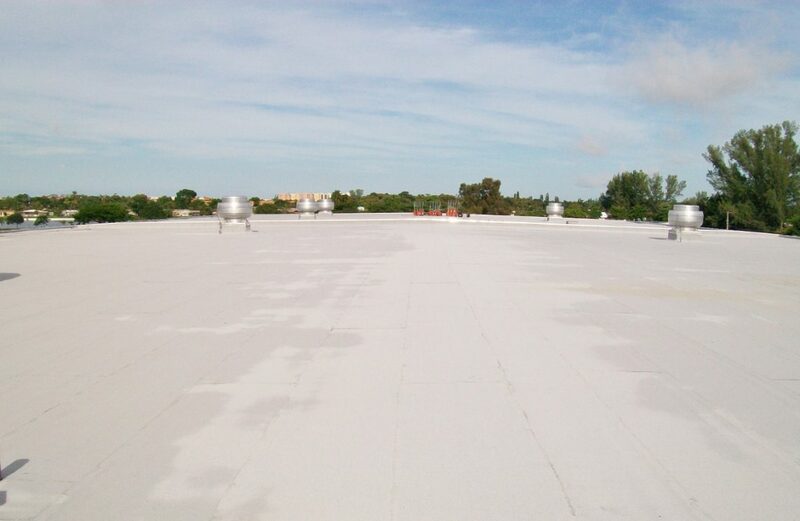 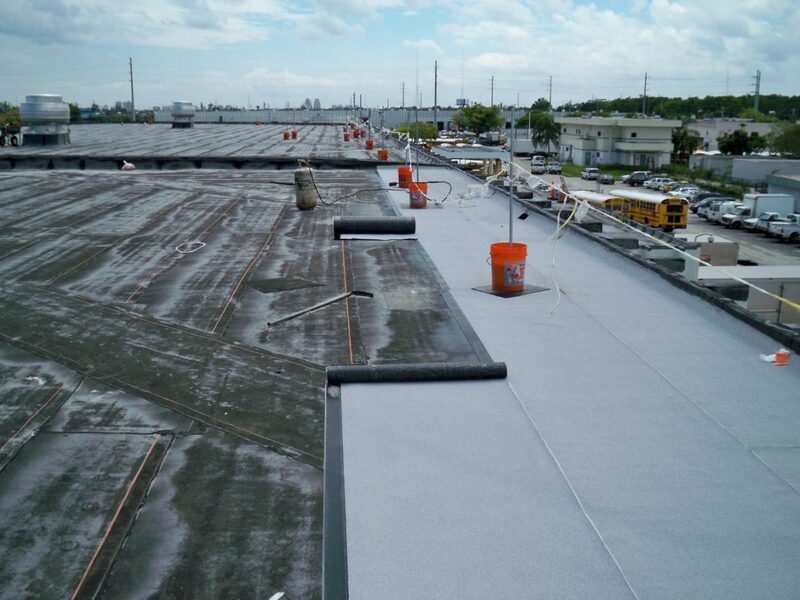 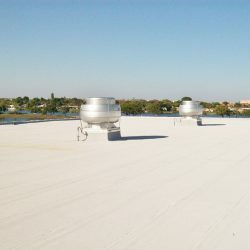 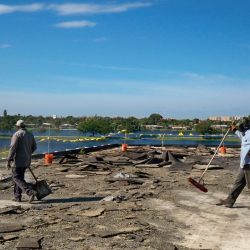 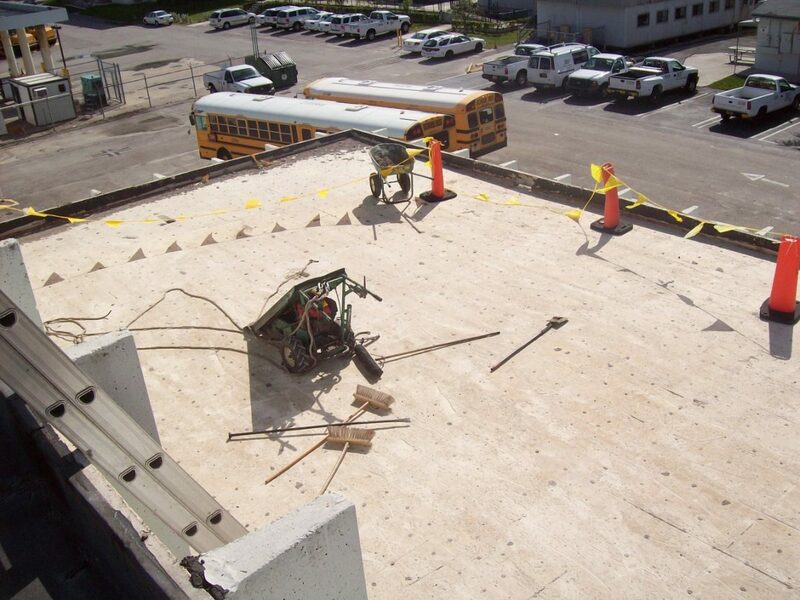 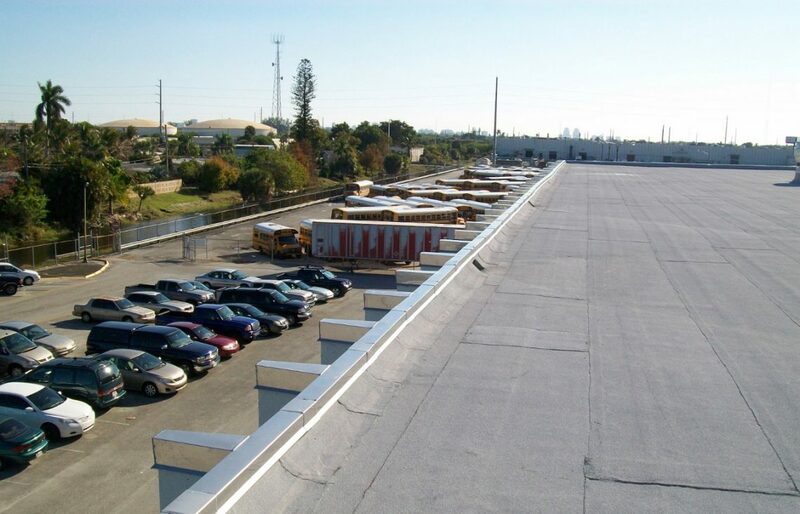 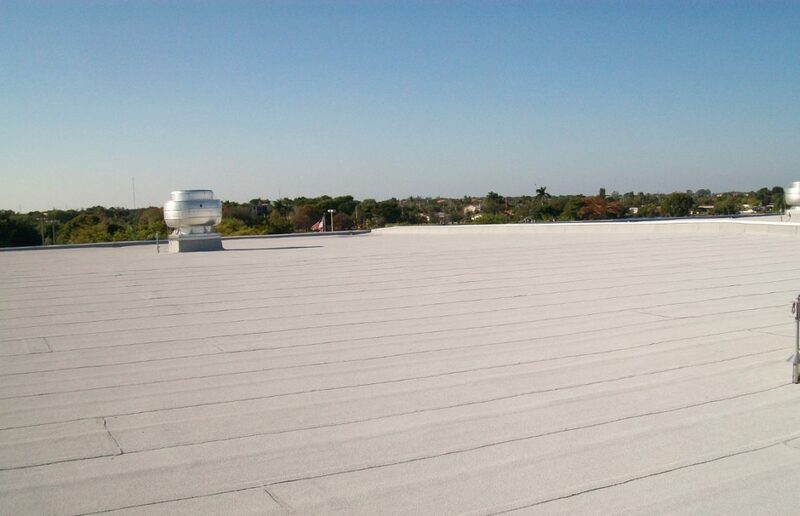 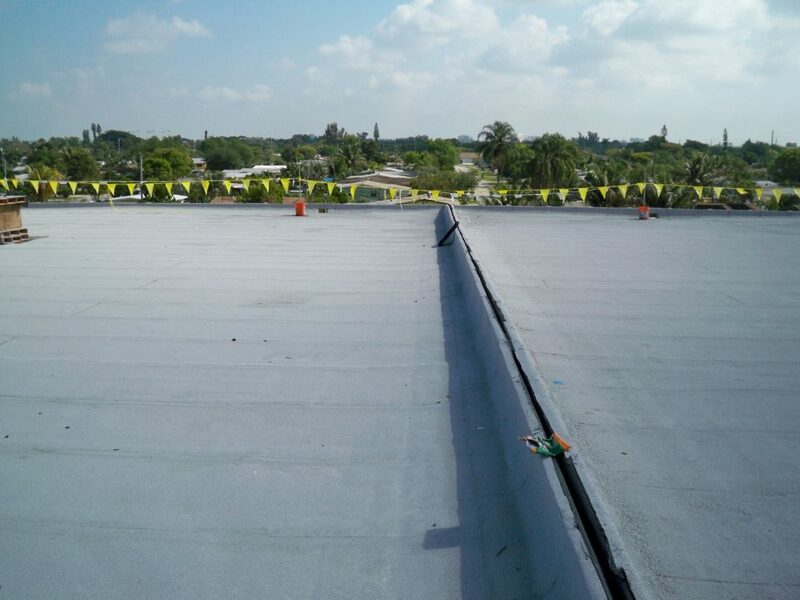 Twin Lakes Administration Building #4 had a scope of work to remove existing roofing system down to lightweight insulating concrete and replace with a Soprema SBS Modified Bitumen Roofing System. 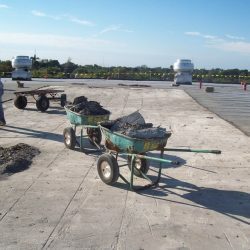 Once we obtained the building permit, we could start commencing with the project. 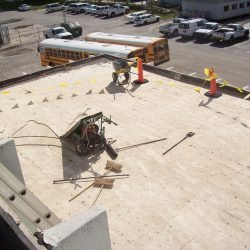 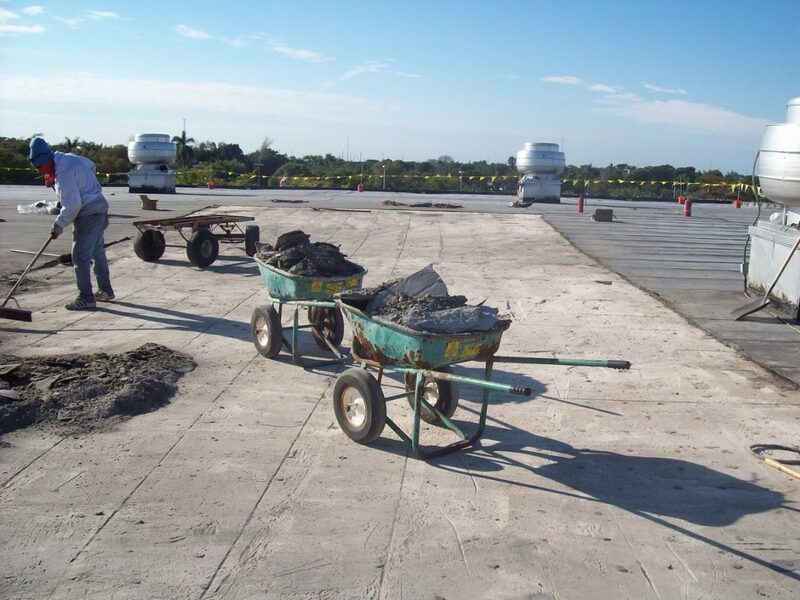 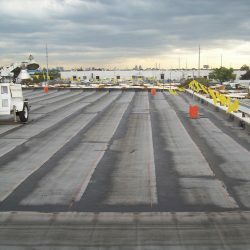 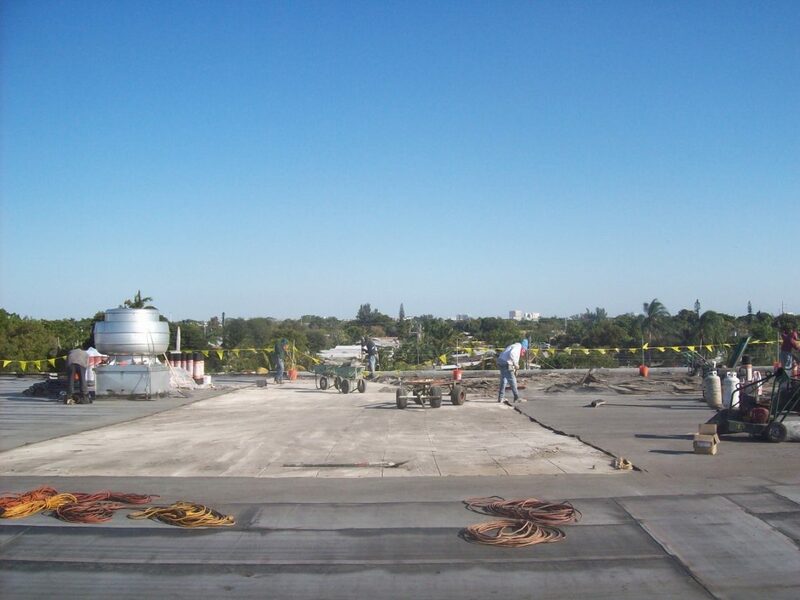 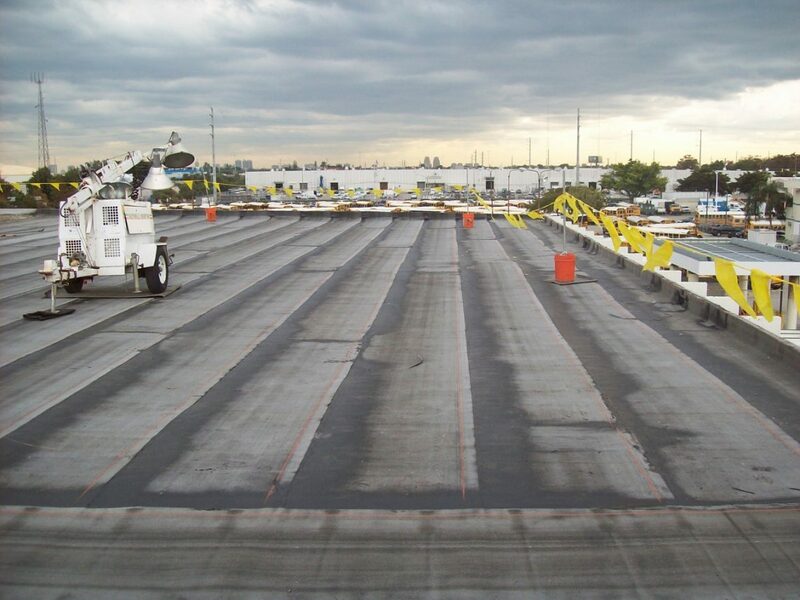 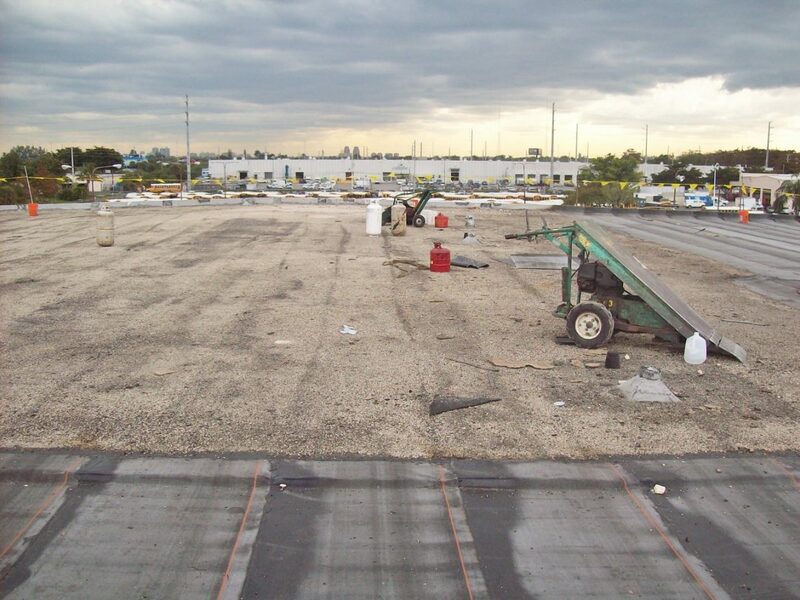 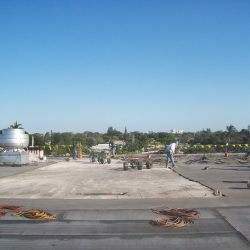 After loading the project and on our first day or tearing off, we had to remove existing gravel surfaced built up roofing system including related sheet metal items down to existing lightweight insulating concrete, provide minor repairs to lightweight insulating concrete as needed. 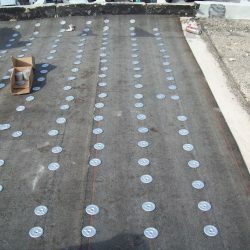 Following that, we mechanically fastened a base sheet into lightweight insulating concrete, followed by installing a SBS interply membrane over mechanically fastened base sheet including base ply wall and curb flashings, torch applied. 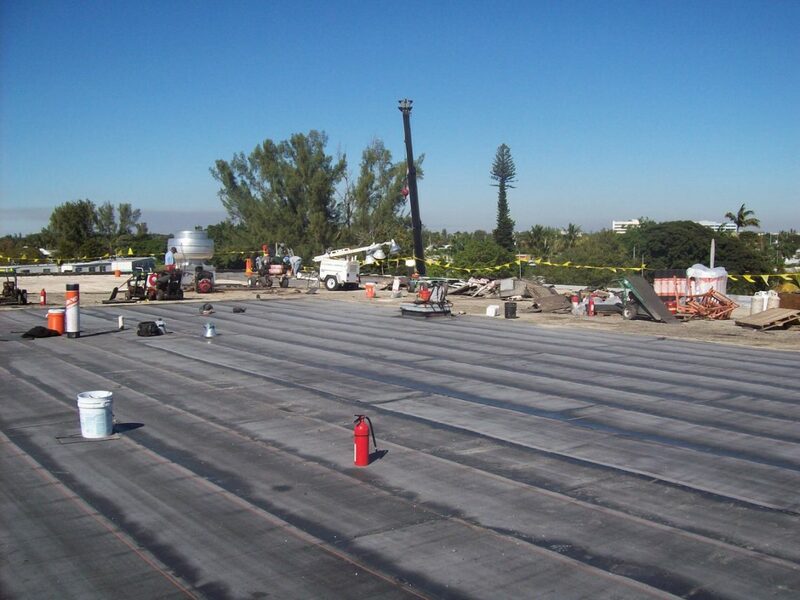 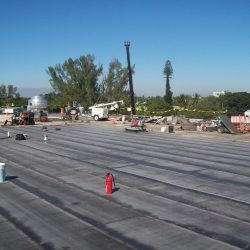 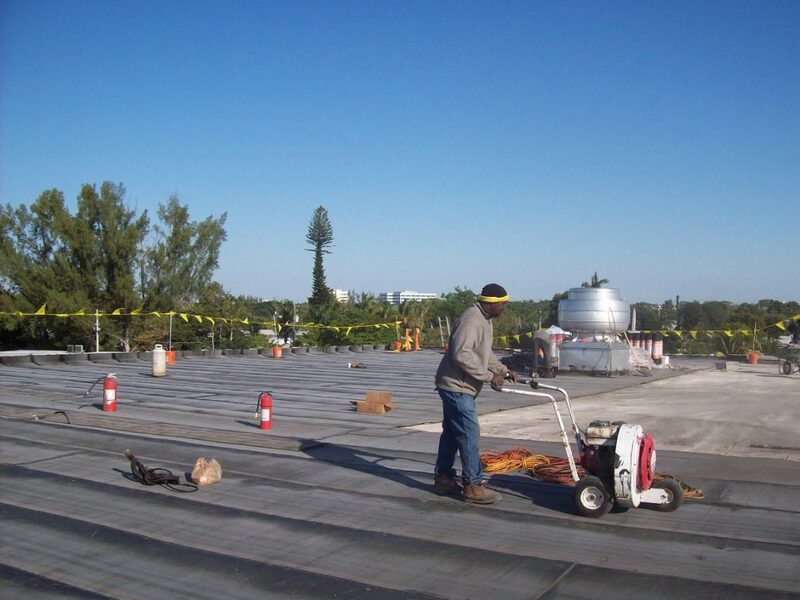 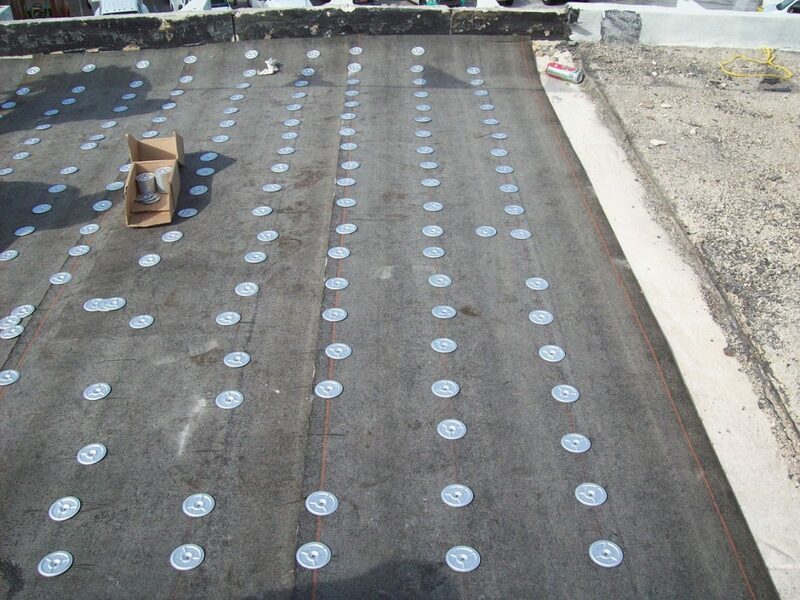 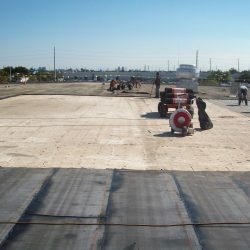 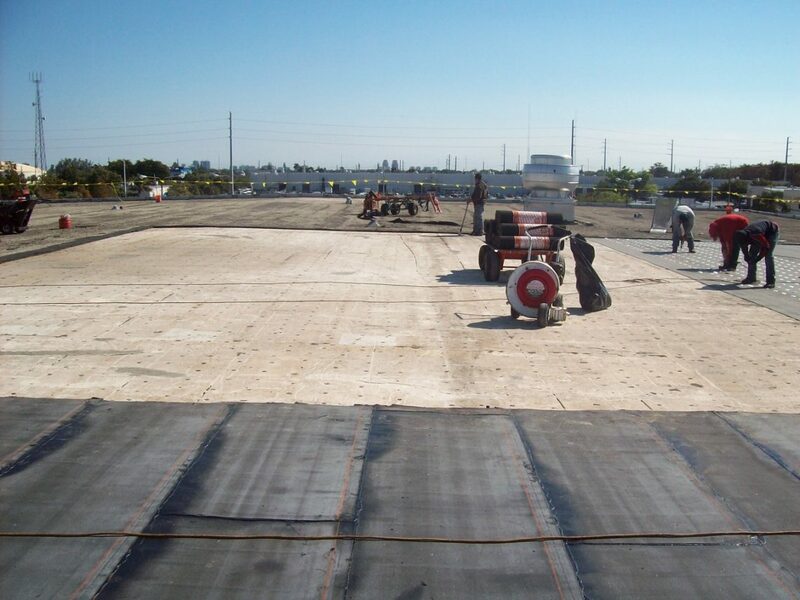 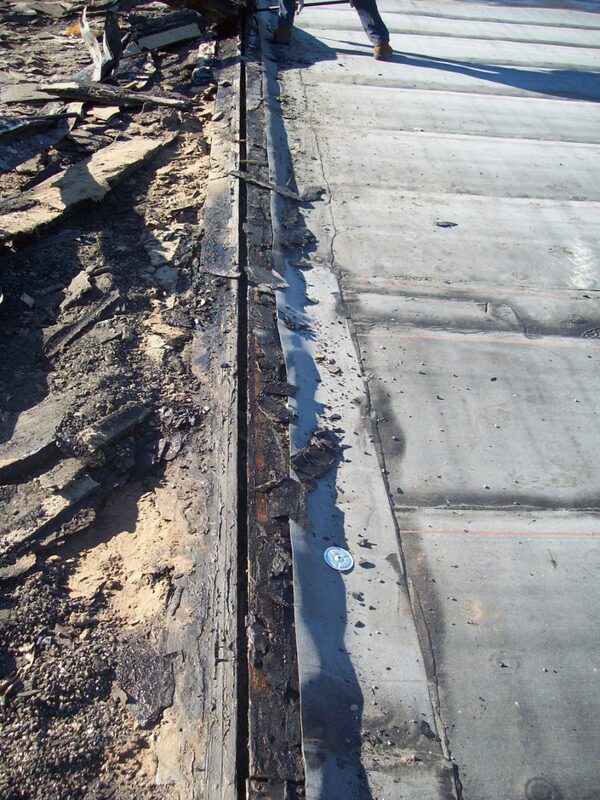 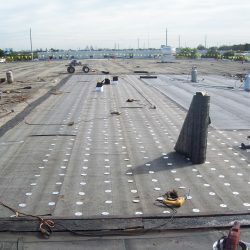 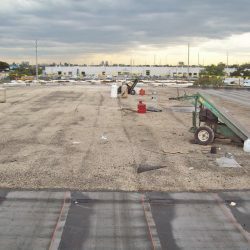 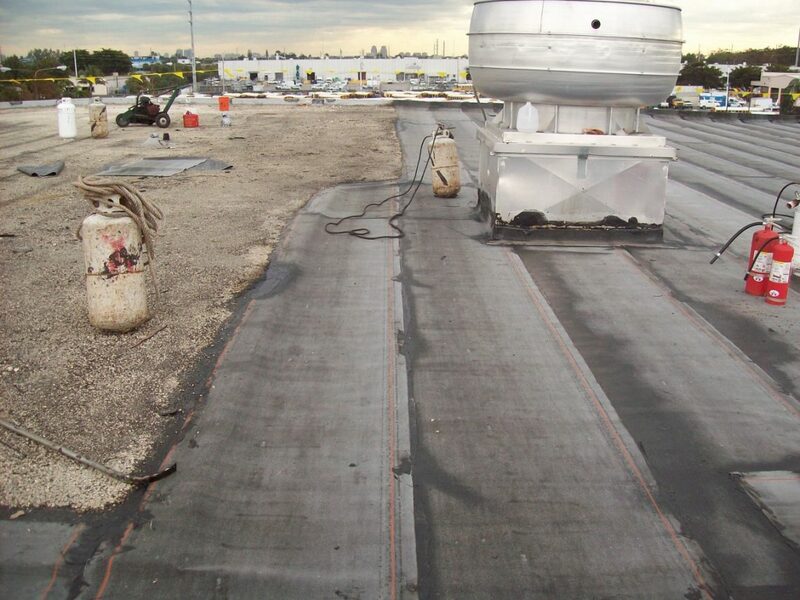 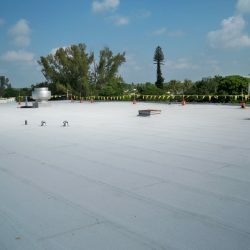 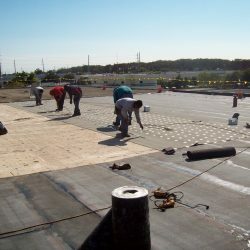 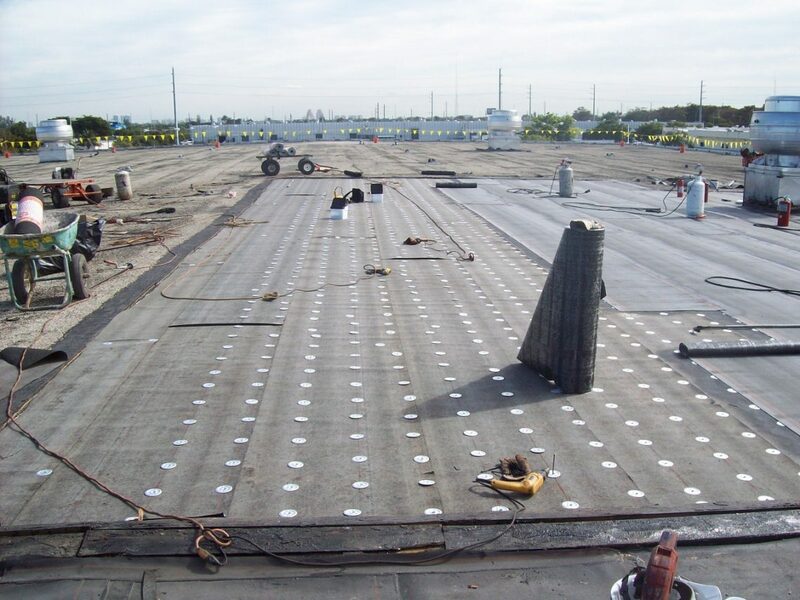 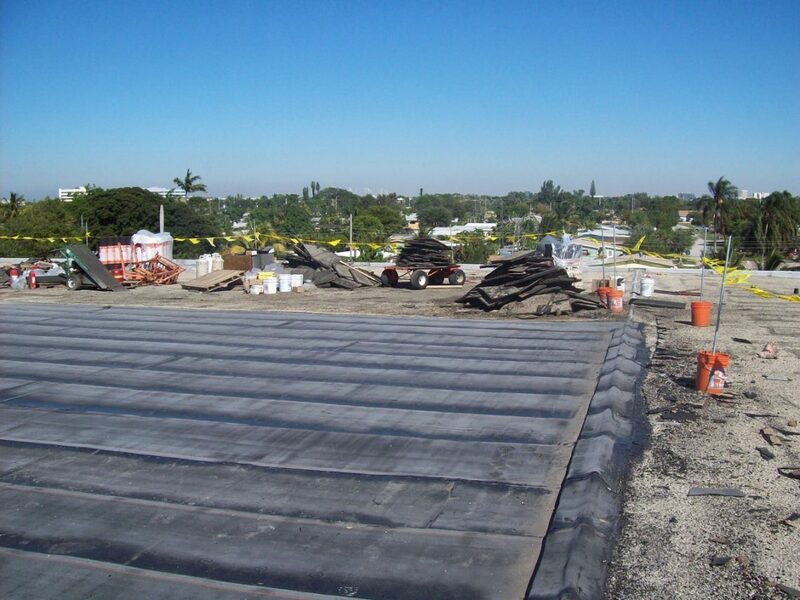 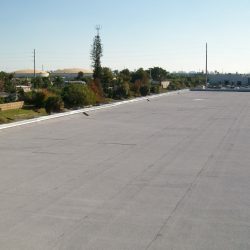 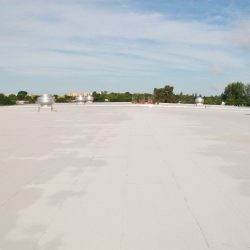 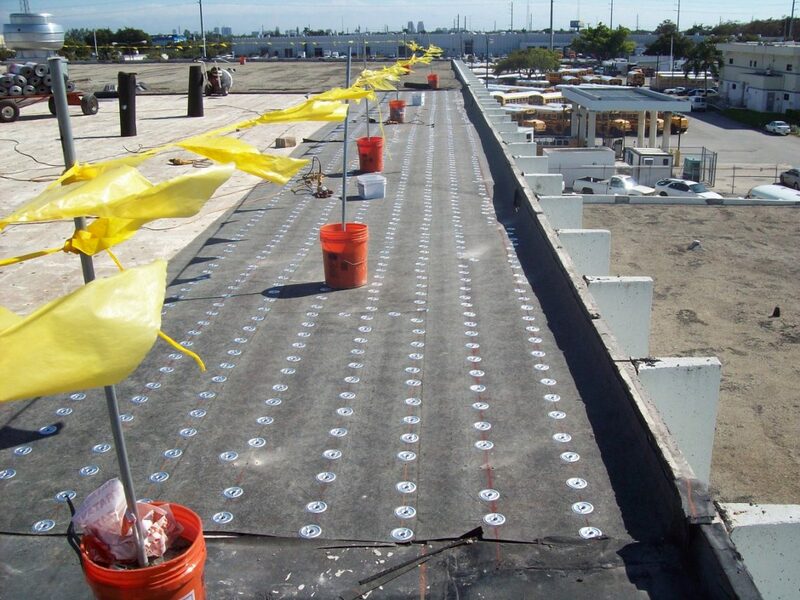 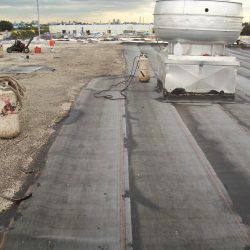 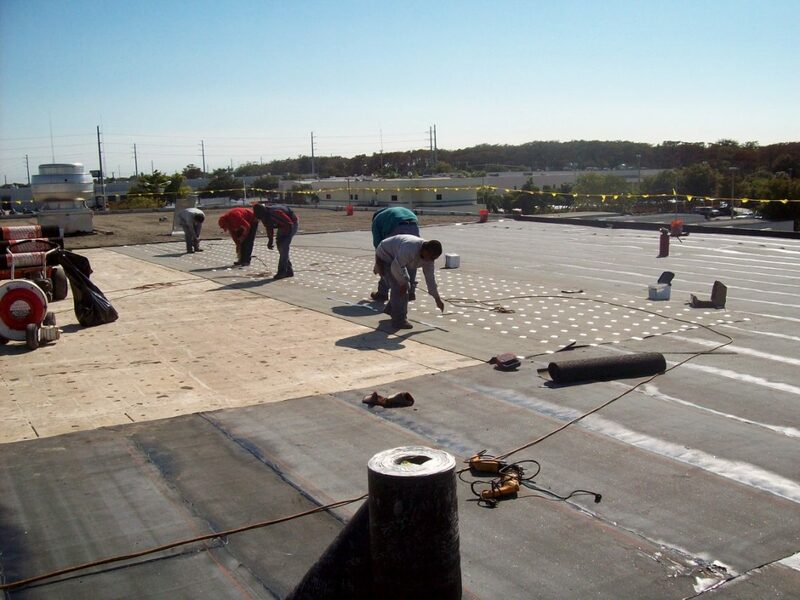 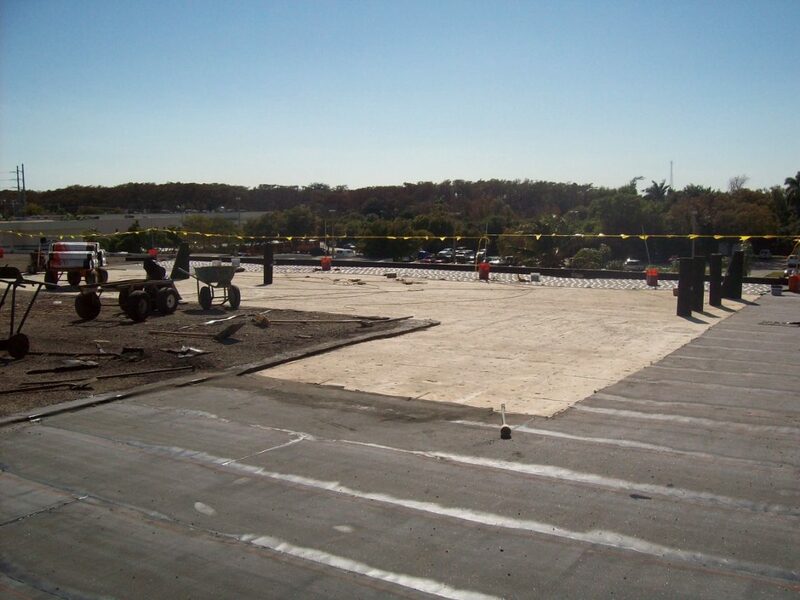 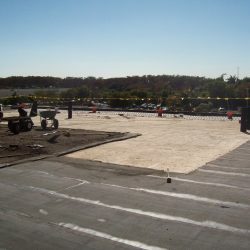 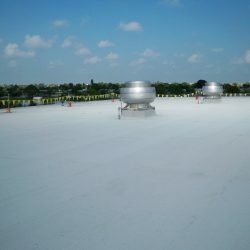 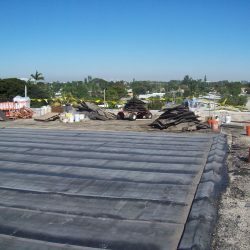 Once that was completed, we installed a SBS fire-rated white granular membrane over interply membrane including cap ply wall and curb flashings, again torch applied. 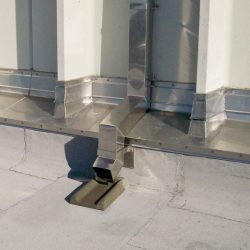 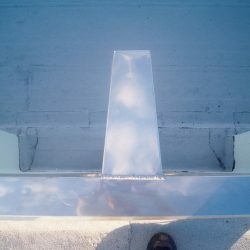 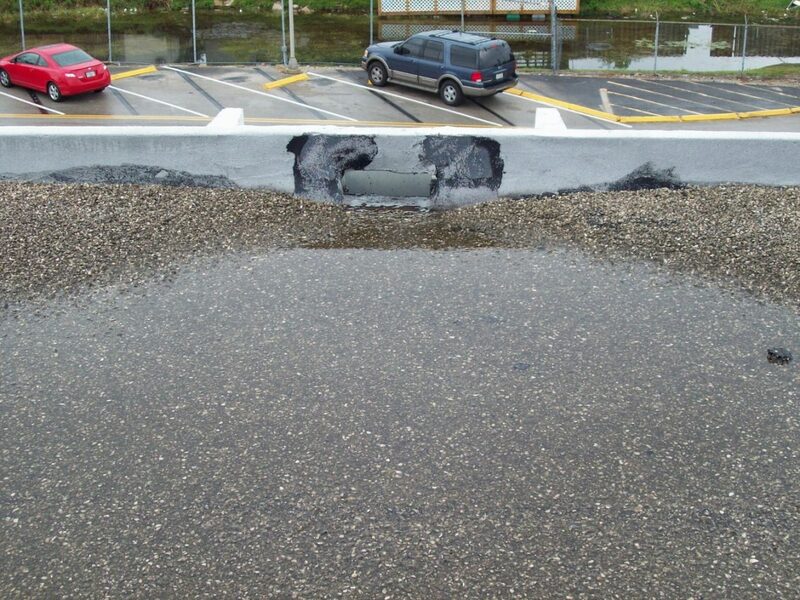 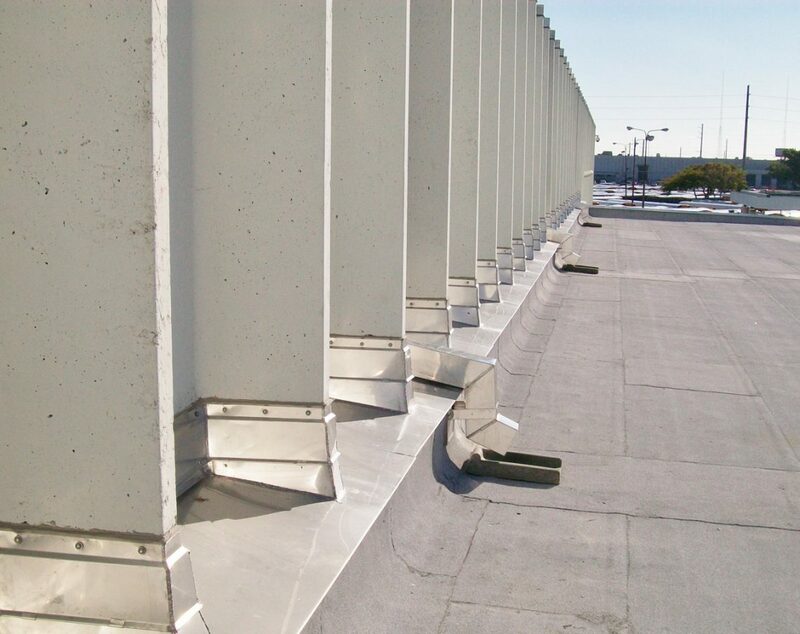 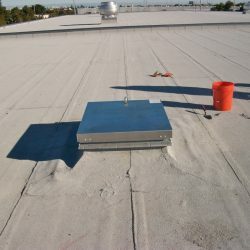 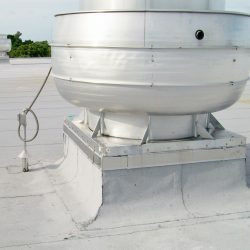 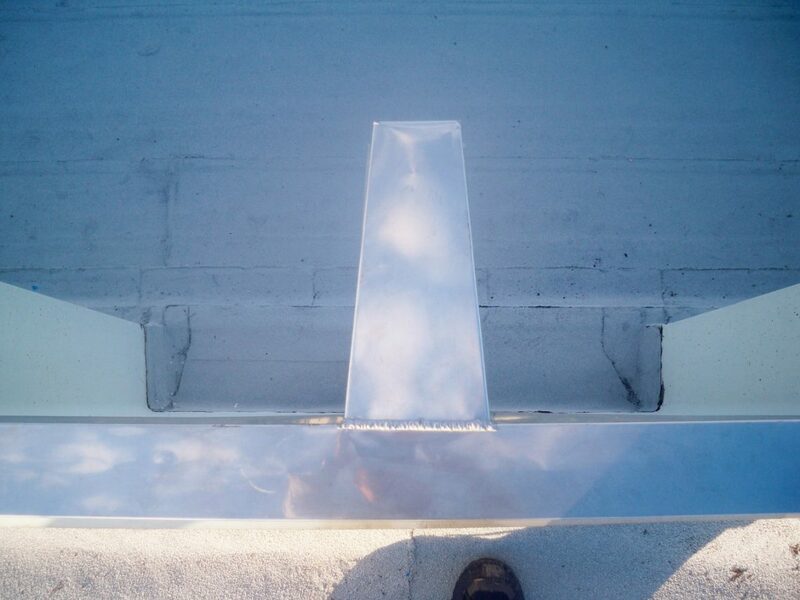 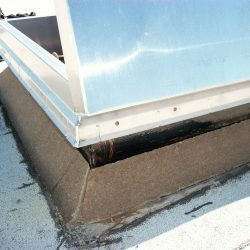 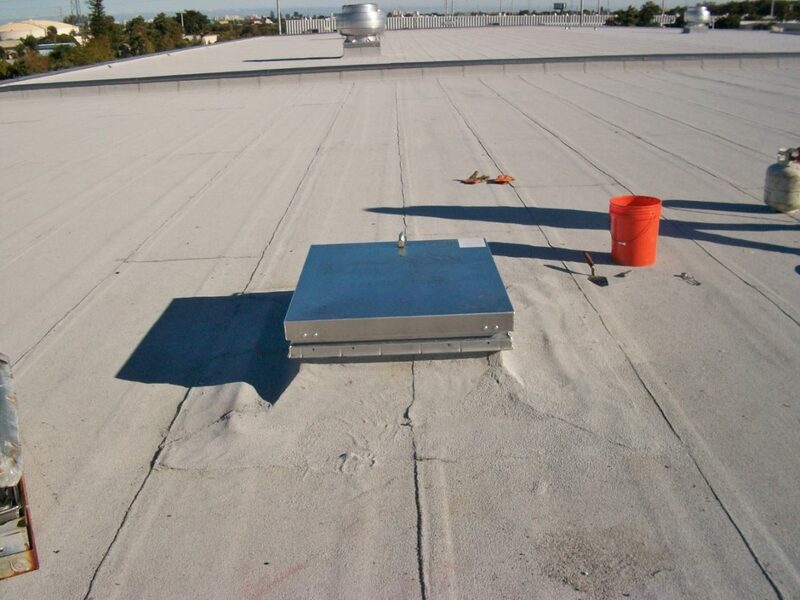 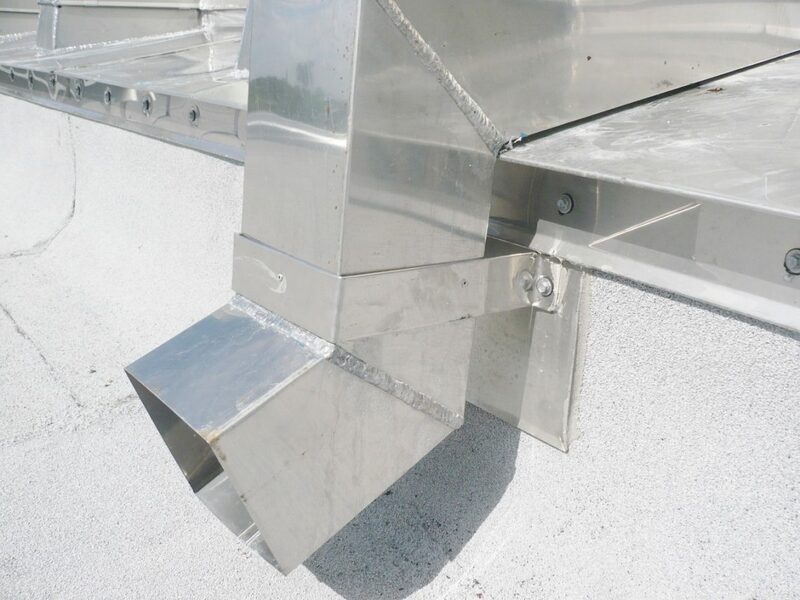 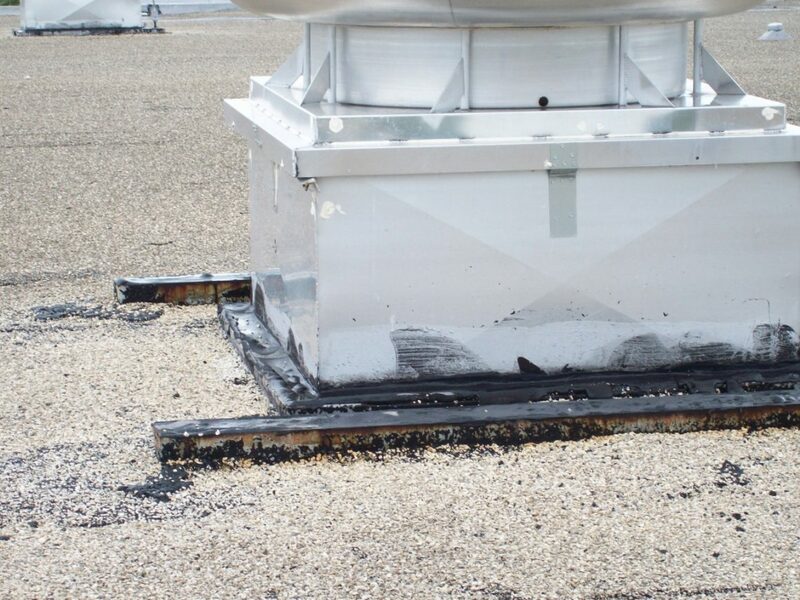 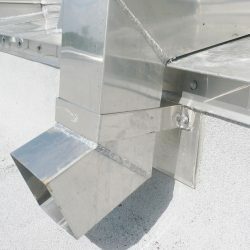 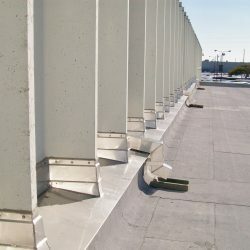 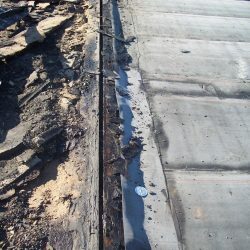 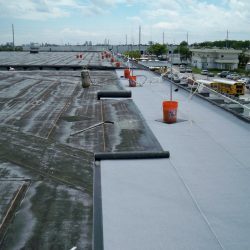 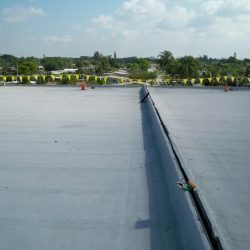 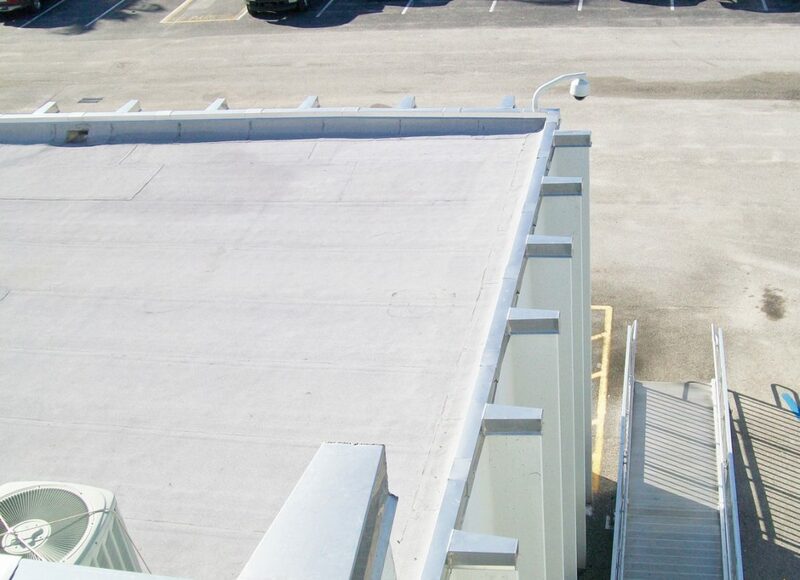 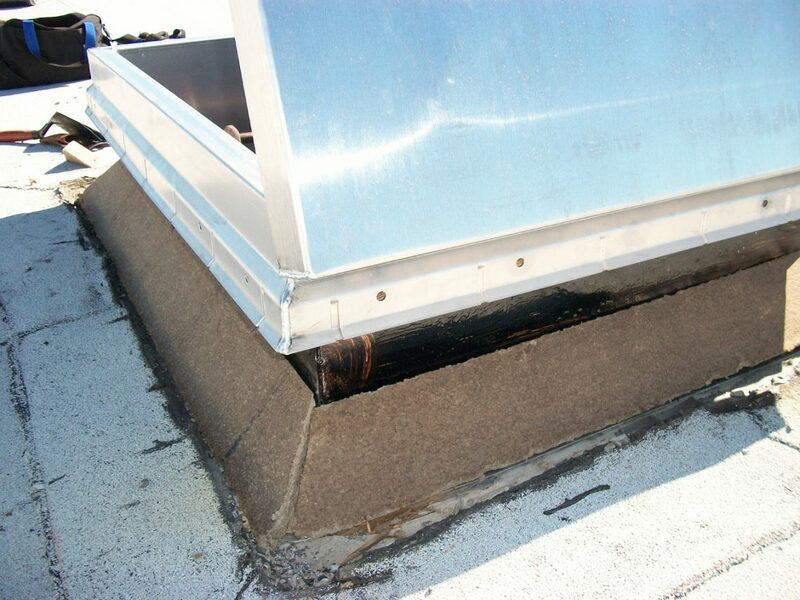 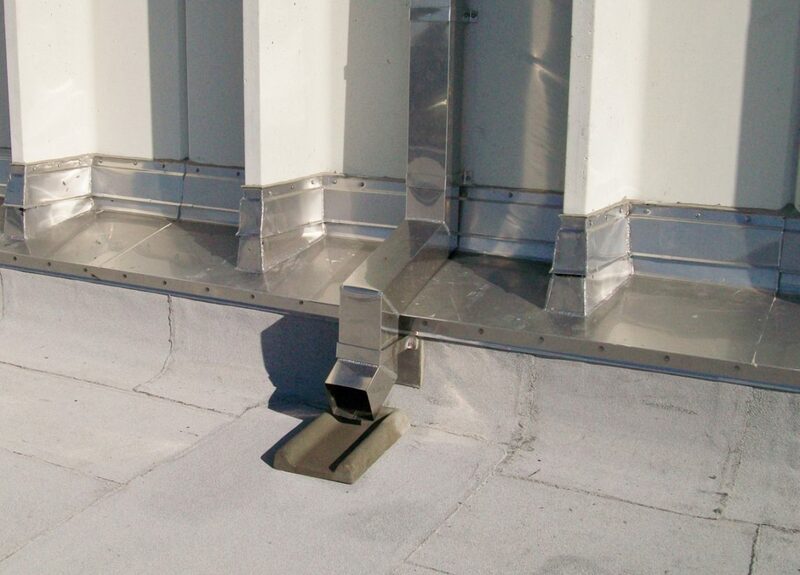 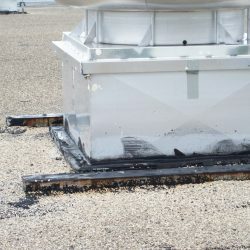 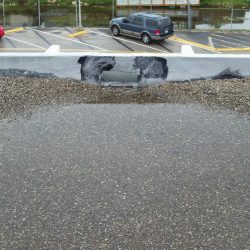 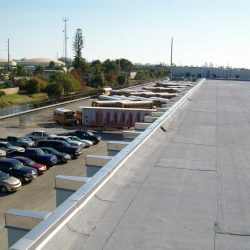 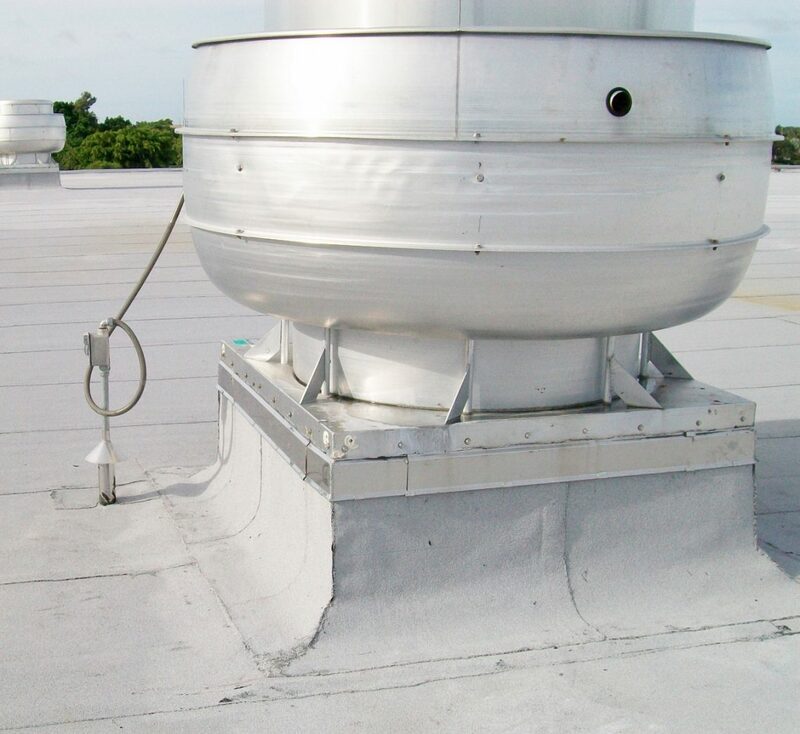 For the sheet metal, we had to mechanically fasten 16 gauge ARBS cleat at parapet walls and fabricate and Install stainless sheet metal flashing components, including gutters and downspouts. 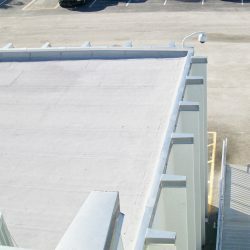 Special Challenge: This project had an extreme amount of meticulous detail for all the sheet metal. 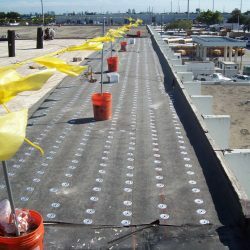 Each coping cap was fabricated individually and soldered onsite in-place.